Every week, the Masked Man, Deadspin's pro wrestling correspondent, honors the sport's fallen and examines their legacies — famous and obscure alike. Today: Michael Hegstrand, aka Road Warrior Hawk, who died in 2003 of a heart attack. He was 46. There's something to be said for the dramatic properties of elevation, particularly when there are monsters involved. King Kong scaled the Empire State Building and found himself on top of the world — and thus a target for military attack. At that great height, he was at once expressing dominance and exposing himself to harm. It's the former part that makes him a monster, and the latter part that makes us care. Elevation carries its own special thrill in professional wrestling, lending to the proceedings both a superhero aspect (Look! Up in the sky!) and an element of unfakeable danger. Wrestling has certainly seen its fair share of high-wire acts: Snuka leaping from the top of the cage; Shawn Michaels's WrestleMania XII zipline entrance; ECW's various balcony spots; Mick Foley's masochistic Hell in a Cell tumbles; and of course the late Owen Hart's tragically ill-fated entrance as the Blue Blazer. At Starcade in November 1986, something superheroic was certainly in the air. They called it Night of the Skywalkers, and though Joseph Campbell certainly would have appreciated the Star Wars reference, the scene was more like something out of a comic book. The Road Warriors, Hawk and Animal, were facing their archrivals, the Midnight Express, in a scaffold match, which meant that the teams were to brawl two stories above the ground — a shockingly real sort of brawl, where life and limb were indisputably on the line. It must be said that scaffold matches were, in retrospect, real almost to the point of boredom. The wrestlers were so consumed with safety — both their own and that of their opponents — that most of the combat took place in prone positions, and the punches and kicks were decidedly low-impact. But 20 or 25 years ago, through the still-credulous eyes of the pre-modern wrestling fan, those matches were stunning. To win the match, you had to knock your opponents — allow me to italicize — off into the ring below. You can see the kids and adults in the audience standing in awe, necks craned. The act was one part monster and one part Marvel Comics, and plainly very, very dangerous: No suspension of disbelief was necessary. I watched Night of the Skywalkers belatedly, on a homemade VHS compilation tape a buddy of mine had put together. The rolling lines of static only served to up the ante: I felt like I was watching a bootlegged copy of Faces of Death, despite the Sports Entertainment imprimatur. It might not have been much of a match, but it took place 30 feet in the air, and it ended with the nefarious Midnight Express duo falling from the scaffold into the ring (each was hanging from the underside of the platform, monkey-bars-style, to minimize the distance of the freefall, as was the norm in these matches). They were followed in their plummet by their insufferable manager, Jim Cornette, who had climbed the scaffold after the match to escape the Warriors' manager, "Precious" Paul Ellering. Only years later did I learn that Cornette — nowhere near the experienced stuntman that his Midnighters were — blew out both knees when he landed in the ring. Oh, and Hawk wrestled the match with a broken leg and never let on. But that's less surprising. The Road Warriors were forces of nature in the ring and two of the sport's true tough guys outside of it, muscled to their ears and notorious for working "stiff" in matches — wrestling parlance for not easing up on their various punches, chops, and stretches. Needless to say, they weren't the most popular team to go up against, but you can't tell a monster to take it easy — and you don't mess with that kind of popularity. Michael Hegstrand — who would come to be known the world over as Road Warrior Hawk — was a big kid from Minneapolis who fell into the tutelage of pro wrestling trainer Eddie Sharkey, who trained a metaphorical murderers' row of wrestlers: Hegstrand, Curt Hennig, Rick Rude, Barry Darsow (aka Krusher Khrushchev, Smash of Demolition, and the Repo Man), and, of course, Joe Laurinaitis, who would become his tag-team partner. As Rick Scaia puts it: "Hegstrand was basically a bodybuilder in the early 80s: a time when bodybuilders [were] really coming into vogue in the wrestling business. The successes of Billy Graham and Jesse Ventura were fresh in everyone's minds, and a musclehead by the name of Hulk Hogan was just starting to turn heads." (I should say here that I'm indebted to the eulogies by Scaia and Scott Bowden.) Hegstrand and his bodybuilder's physique debuted professionally in British Columbia. He went under the name Crusher von Haig, and despite his build (and a surprisingly full head of hair), there was little in that first match to mark Hegstrand for any sort of greatness. The faction soon dissolved, but the "Legion of Doom" moniker would come to be synonymous with the Road Warriors for the rest of their careers. Right from the start, the Warriors' charisma was evident. They were nightmarish but cool — their extreme musculatures, painted faces, and growling monologues set them apart from the then-standard wrestler. They were freakish next to the toughish-white-guy norm of the period -– see their stablemates Jake Roberts and Arn Anderson for examples –- but much sleeker and more electric than the monsters of the day, guys like Abdullah the Butcher and Kamala, garbling, corpulent grotesques whose peculiarity was such that no fan could root for them. But for the most part, the Road Warriors didn't scare fans away — they were gargantuan antiheroes, titans for a new era. Their interview style was groundbreaking for two reasons: one, the up-close format would be the television viewer's first chance to really appreciate the outsized physiques of the two men (particularly when they stood next Ellering, who, though a serious bodybuilder in his day, was a shrimpy sort of guy), and two, because of their comic-book-villain intensity. Hegstrand excelled in these interviews, threatening the lives of his opponents-to-be in increasingly comical and gory ways ("We'll rip your masks off Warrior-style — with your heads still in them!") and delivering the sort of catchphrases that would come to dominate wrestling in the coming decades: "We snack on danger and we dine on death," for instance, or, in closing every promo, "Ooooooooh, what a rush!!!" Their in-ring style was brutal, and the audience probably perceived the too-real-to-be-fake grimaces on the faces of their poor opponents. Their no-punches-pulled routine actually started at the behest of booker Ole Anderson, who instructed the Warriors not to show the effects of their opponents' assaults so as to disguise the fact that Hegstrand and Laurinaitis weren't skilled enough to realistically react. It was a winning gambit, and it became the Road Warriors' signature — they didn't show pain and couldn't have if they wanted to. Hawk in particular came to be known for this — even in later years, after his in-ring skills had improved considerably. Jim Ross says that when his opponents for the evening would get to the arena, their first question would almost uniformly be, "What kind of mood is Hawk in tonight?" The Road Warriors ran through their Georgia competition (which included the Junkyard Dog) and soon left for the greener pastures of the AWA. This was also the first hint of a pattern that would wind up defining the Warriors' career: jumping from federation to federation, always leaving when their popularity was at its pinnacle. Whether this was shrewd business dealing, diva-style machination, or the unpredictable wanderings of a monster is unclear — presumably, it was a little bit of all three. The Road Warriors soon became official fan favorites and feuded with the Fabulous Ones and the (similarly named but completely separate) Fabulous Freebirds — underhanded brawlers from "Bad Street," Atlanta, who at Superclash 1985 (at Comiskey Park! ), emerged from the dugout wearing (highly questionable) stars-and-bars face paint to mock the Warriors. By 1986, though, the Road Warriors were such stars that one territory couldn't contain them. Their career over the next several years — and really, over the next 20 — was more than a little difficult to reconstruct and, as is often the case in comic books and monster movies, highly repetitive. They shifted between the major and regional promotions frequently and feuded variously with just about every tag team of the era. They feuded in the NWA (which was born out of their old Georgia Championship stomping grounds — and which would eventually transform into WCW), squaring off with the Russian team (which included their old friend Krusher Khrushchev). They feuded in Memphis against Jerry "the King" Lawler and Austin Idol (Lawler is an avid reader of comic books and so was a huge fan of the Warriors). They traveled everywhere, even doing a stint in Japan for the storied New Japan promotion, and wherever they went, they took their battering style with them, gaining fame and notoriety around the world with seeming ease. And it's not hard to see why: The Road Warriors were monstrosities and megastars; their oversized physiques and outsized personas were both eccentric and yet, for a generation that had grown up with cartoons and science fiction movies, relatable — and certainly a harbinger for the future of professional wrestling. When they signed on exclusively with the NWA, they brought a new sort of pop-culture legitimacy to the company, making the old-school, Southern-based organization more competitive with the '80s zeitgeist-surfing WWF. The stars of the NWA were happy to borrow on the cool quotient of the Warriors. Dusty Rhodes, who was both the top babyface there and the head booker, quickly aligned himself with the Warriors, winning with them the NWA Six-Man Tag Team Championship and later feuding alongside them against the Four Horsemen. Other notable feuds in their early NWA run were with the Midnight Express (see the aforementioned scaffold match) and with the Powers of Pain, a plain rip-off of the Warriors who had basically been running the Warriors' shtick in the NWA before the originals got there (but to much less acclaim). In the territorial days of pro wrestling, the appropriation of storylines or gimmicks from another region was not at all unusual, but this was the end of that era and the beginning of national television deals, and the borrowings were much more evident — and the bald-facedness of the Road Warrior rip-offs was particularly galling. It's no stretch to say that the Road Warriors' immediate influence on the sport is plain just from the clones they spawned: the Powers of Pain (the Warlord and Barbarian) were a sort of prehistoric Road Warriors; the Blade Runners (Justice and Flash, aka the Ultimate Warrior and Sting), who mimicked the act right down to the movie-title swipe, were the minor league Road Warriors; and Demolition (Ax and Smash) were the WWF's house clones, the Road Warriors gone corporate. There was even a weird British team that stole the name and about one percent of the aura; it's unclear how much they were influenced by Hawk and Animal, but it's fun to imagine that they were trying. As the NWA transitioned into WCW — into a truly national promotion — the Road Warriors remained prominent, but friction with new showrunner Jim Herd nudged the Warriors out the door in 1990. It was another instance of the Warriors walking out at the height of their popularity, but in this case, we have the first clear instance of a dispute with higher-ups causing their departure. This would become their new tradition. Hegstrand in particular was a serial collector of grievances; there was always someone in charge, some higher power, holding the Warriors down. The LOD won the tag team titles from the Nasty Boys (making them the only tag team to hold the belts in the WWF, WCW, and the AWA — the three majors of that era) and lost them several months later to Money Inc., whereupon they disappeared again, taking a leave of absence. When they returned, they had their old manager Paul Ellering back in tow, and, for some reason, he had with him a ventriloquist dummy named Rocco, supposedly to bring inspiration to the team. The role of the manager for the monster wrestler (or tag team) is significant. He is an ambassador to the real world. Even when the monsters speak English, as they did with the LOD, a manager can provide a human element — a plausible answer to the questions like, "Does Hawk have a checking account?" But the addition of Rocco the puppet pushed the LOD in the other direction, from cinematic realism to cartoon lunacy. Any machismo bequeathed by those Harleys, though, was nullified by the fact that Ellering rode in with a ventriloquist dummy on his handlebars. Hegstrand was galled by the inanity of the storyline. And as was his wont, he quit the WWF in a huff. What's notable is that he did so without discussing it with Laurinaitis. (Animal stayed in the WWF to try to finish out the LOD's obligations there, but a back injury derailed his plan.) No longer were the Road Warriors underappreciated in Hegstrand's mind; now it was just Hawk who was underappreciated. Hegstrand's decision-making, always prone to fits of pique, was becoming increasingly erratic, and the stories of his substance abuse multiplied. At that point, the AWA was a shadow if its former self; options were diminishing, and Hegstrand's temperament was threatening to become his Kryptonite. He traveled alone to Japan, where he replicated the LOD gimmick sans Animal, teaming up with a relatively minor wrestler named Kensuke Sasaki. Hegstrand was a huge draw in Japan, and many other overgrown Americans replicated his success there. Such achievement evinces a sort of circus-mirror inverse of the state of U.S.-Japanese relations at that point. While the American economy of the '80s and '90s was ravenous for Japanese electronics and automobiles, the only American export that the Japanese had any interest in were white giants like Hawk. The country that decades earlier brought us Godzilla and Mothra was now more than happy to take our monsters back in trade. Hegstrand soon turned up back in WCW, wrestling solo and later in a loose tag team with former imitator Sting ("Shades of LOD and Ultimate Warrior!") and in ECW. Animal finally returned to the scene, and the Road Warriors reunited and made their way through various disputes with the Faces of Fear (Meng and their old foe the Barbarian), the team of Sting and Lex Luger, the Steiner Brothers, and Harlem Heat. They left WCW six months after the reunion and returned to the WWF. WCW was in the midst of hiring away loads of WWF talent, and Vince McMahon was glad to take something away from his deep-pocketed rivals, even if it meant forgiving Hegstrand for walking out several years before. They teamed up with "Stone Cold" Steve Austin against the militant Canadian Hart Foundation stable. For two decades, the Road Warriors had been cutting edge, futuristic in style and fashion-forward in affect. In the '90s, other acts began to catch up, and against the upstart New Age Outlaws, their vintage was finally beginning to show. The Outlaws embodied the WWE's Attitude Era, and their crass stylings, singalong catchphrases, and almost comical movesets indicated a new age of pro wrestling. The LOD's time had come; they certainly weren't the monsters they used to be. One night on RAW, during an interview with Vader, Hawk accidentally walked through a nearby door in the background, realized his error, and recoiled comically. It was a moment's lapse, but in retrospect it serves as a metaphor for the death of Hawk's mystique. After another brief hiatus, the LOD was repackaged as LOD2K, the Legion for the new millennium, their old armor replaced by shiny silver shouderpads and helmets. The immutability that had long been the Warriors' calling card was discarded, and their aura seemed to go along with it. Hawk's displeasure with the redesign was obvious: He tossed his helmet into the crowd, and it was never seen again. The team soon took on a third member, Darren Drozdov, who was going by the name "Puke" ("Shades of Crush joining Demolition! "), and the storyline pivoted to focus on Hawk's alcoholism, a wink-wink reference to Hegstrand's real-life substance-abuse issues. This sort of after-school-special storytelling was common in those days, but the LOD's old-school personas stood at extreme odds with the earnestness of the angle. So did Hegstrand's notorious pride. The story led a despondent Hawk to climb atop the big-screen "Titantron" above the entrance ramp and "attempt suicide" by jumping off to the floor below. Fans groaned, and Hegstrand felt slighted — legitimately, this time. The LOD quit the WWE soon after. Post-WWE, Hegstrand reportedly descended further into his self-abusive behaviors. In 1993, however, both he and Laurinaitis became born-again Christians, and Hegstrand cleaned up his life for good. The duo appeared on some of Ted DiBiase's Christian wrestling events, on TNA Wrestling a couple of times, and then one final time on WWE Raw in May 2003. They were hoping to parlay that appearance into a full-time contract. They didn't get one. Five months later, Hegstrand died of a heart attack at his new house in Florida. 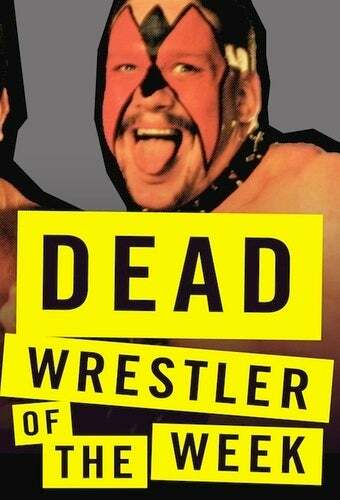 At the time of his death, he and Laurinaitis were working on a book about their careers. A book left unfinished. The symbolism abounds. The Road Warriors never truly evolved with the times — at first because they were never in any one place long enough to evolve, but moreover because they never really had to. In the territory era, they were the future incarnate, but in the modern era they were the last territorial wrestlers, moving from place to place, perhaps ill-suited for long-form, postmodern storytelling but wildly popular nonetheless. When they appeared for the first time in TNA, they got the biggest cheer of the night — a "Road Warrior pop," as Jeremy Borash put it. They got bigger cheers than anyone else because they represented everything to the crowds: the present, the future, and the past. The Road Warriors were both timeless and comfortably dated, and their wanderings around wrestling's demimonde hinted at very human neuroses and vulnerabilities. They were antiheroes for a Marvelized audience that had acclimated itself to rooting for eccentric baddies. They were beasts we could love, Calibans forever straining at Prospero's leash. Farewell, Hawk. You scaled the heights and showed us that monsters are people, too.